This is an older OPI, from their 25th Anniversary collection which came I out in 2006, at least I think. Don't quote me on that. 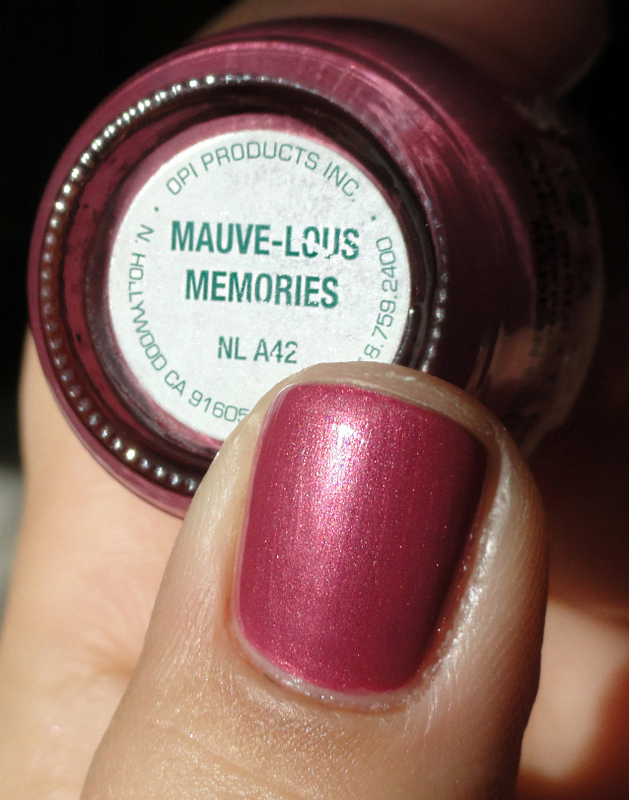 Mauve-lous Memories is a lovely mauvey-pink with slight pink and silver shimmer. La la love it! It's not anything crazy, just very ladylike and grown up--which I assure you I am not ;) But it's nice to pretend every once in a while. This is three coats. Excellent formula, and I think it even is big-three free as it has a green label. Are there any polishes you have that make you feel like a real "lady"?